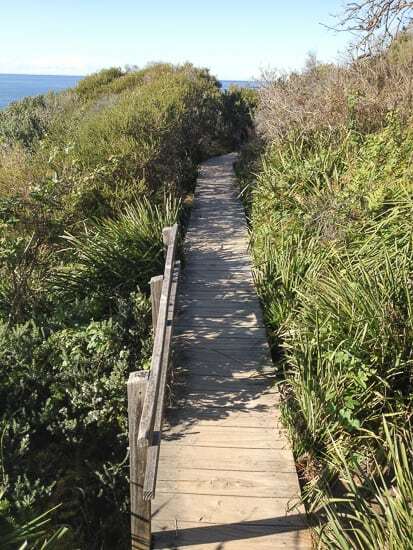 Here’s a walk that’s gorgeous on a sunny Sydney day and fine for kids, so long as they are old enough to walk carefully. 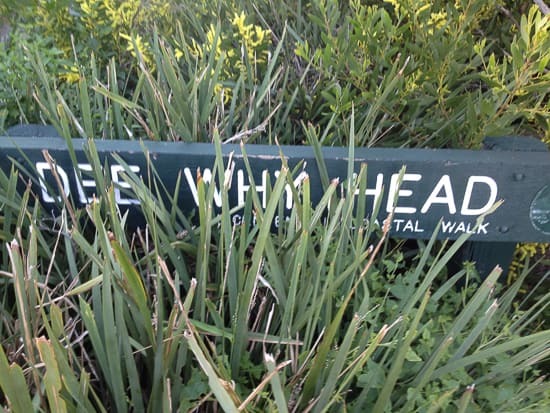 If yours are still bolters or a bit wild, do not do this walk as it runs alongside cliffs. 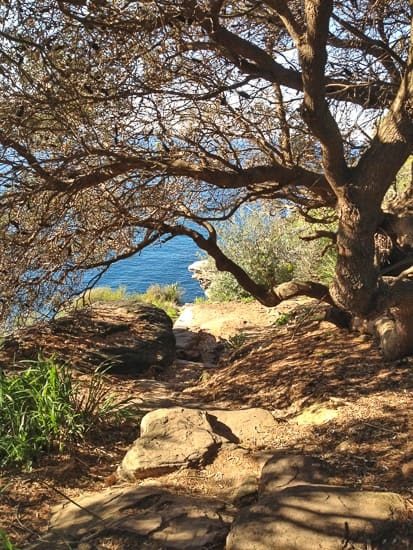 You can start this walk from anywhere in Dee Why. 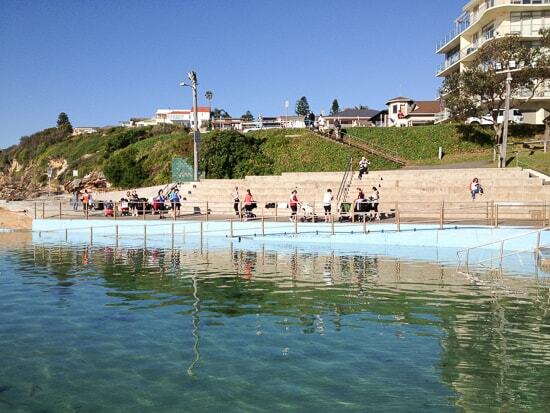 Get to the rock pool and head up these stairs. Or park above the pool in the continuation of Oaks Avenue, that’s what I did this time. 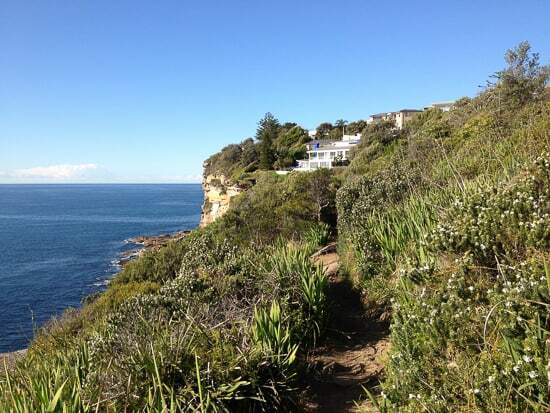 This isn’t a long walk, about 3-4km depending on where you start from in Dee Why. 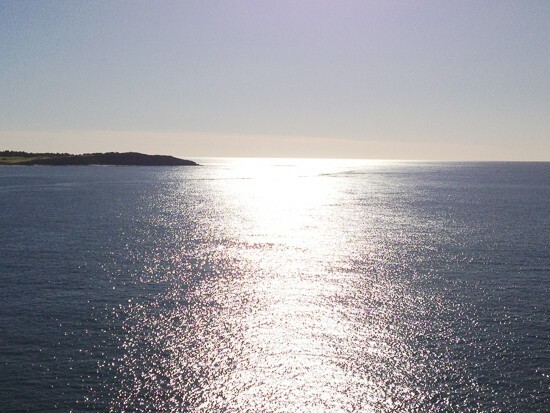 But it feels like an adventure, and the views north to Long Reef and beyond will send even the saggiest spirits flying free. 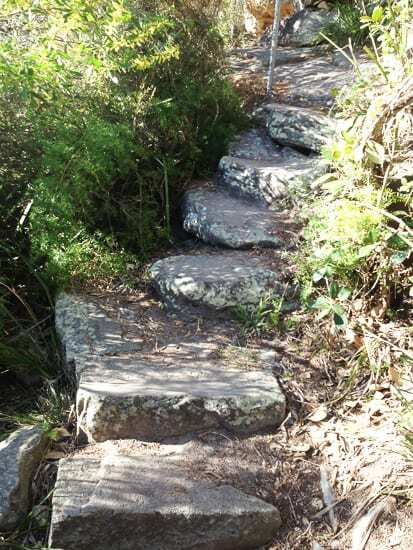 The track is pretty rough and rocky, with lots of steps cut into the sandstone. It’s a narrow track too and all higglety pigglety. It feels a million miles away from city living. Perfect. Wonderful views to the south too, and pretty vegetation alongside the track. 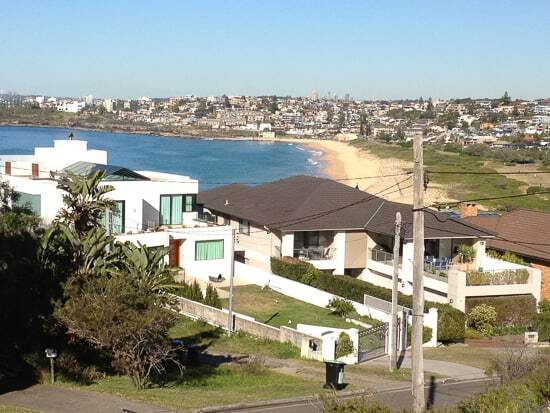 The view back past Dee Why to Long Reef. Searing sunshone on war, that’s what I needed to chase away gloomy, circling and self-destructive thoughts. Now then, this is not a walk for strollers, and certainly not one for very young children. 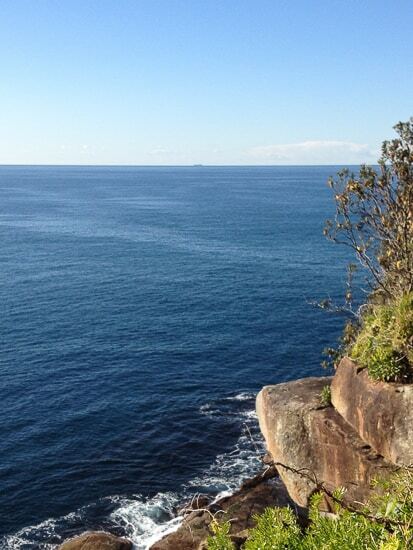 It’s very beautiful and thrilling for kids who are safe near cliffs and good walkers. I was running up the stone steps and hopping fast from rock to rock. Something I love about this walk is being able to snoop into the gardens of the gorgeous coast-clinging homes along part of the walk. 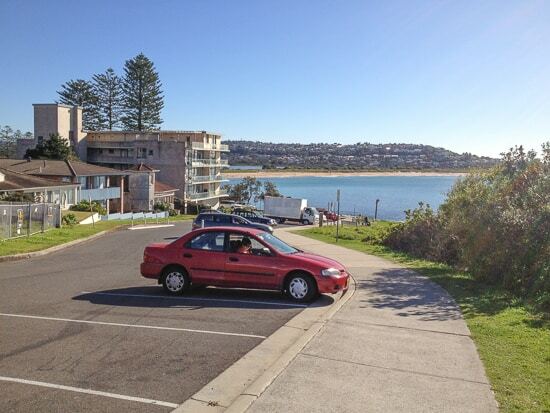 I stopped here at Molong Street, at the end of Dee Why Head. 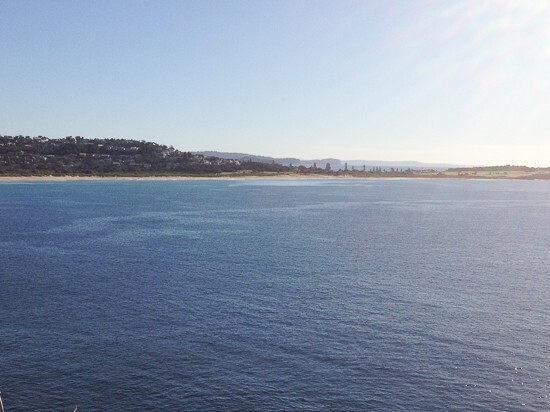 You can see Curl Curl beach down there. If you walked all the way to the end you could have a coffee or lunch at the great cafe at South Curly. On the way back I stopped to look down at the water. My stomach always lurches, just like it does at Scenic World, a feeling I find oddly pleasant. 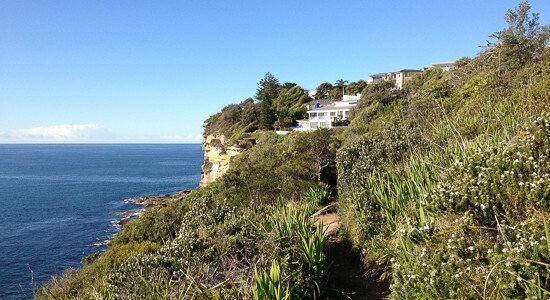 We turn around and walk back to beautiful Dee Why. I didn’t track the walk this time, but here’s one from last year. 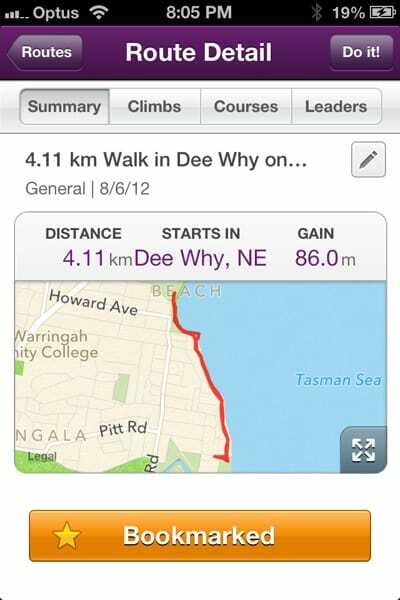 So it was 4km from the carpark at the north end of Dee Why Beach. I think it’s be around 3km from parking in Oaks Avenue where I left from. 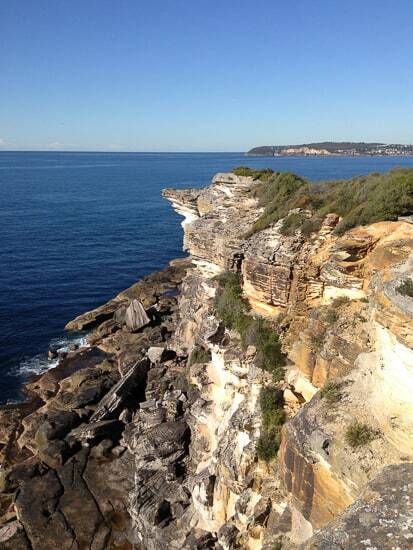 What’s your favourite Sydney coastal walk? What a gorgeous walk! 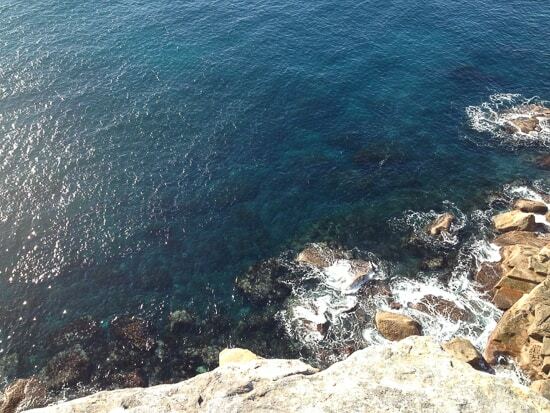 The coastline is just so beautiful! It must be so hard having your husband away, mine means the world to me and I hate him even being late home from work! :0! I am going to pin that day bed, how gorgeous! I want it! Hello, Yes, I am not doing well with the husband away situation at the moment. He’s been doing this 28:28 rotation for just over 18 months now, it does have its good points but I can’t remember any of them at the moment! We’ve had a trickier time this year as well as we’ve both had to go to Scotland to see sick relatives, which is so sad bit it’s also meant that I’ve only seen him for about…. *gets out calendar… just less than four weeks in the past four months. No wonder I am losing the plot. He’s back in 8 days…. we hope! 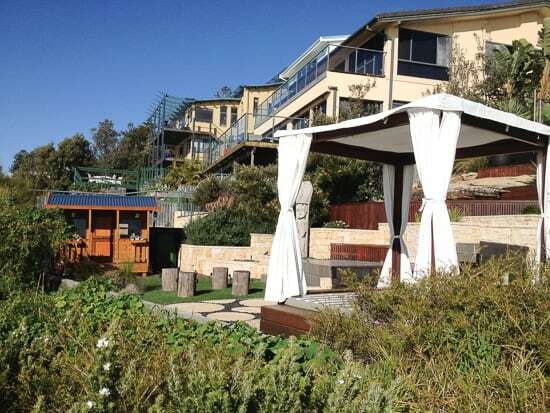 PS I completely agree about that daybed… and the views from it are so good too. you have a picture of my house in here…..
Those views are spectacular … it’s fantastic when you find a glorious bit of nature so close to the city. It looks stunning and I must try it soon with the family. Good for you for getting out doors when you are feeling low. It makes so much of a difference when the weather is good and you are in stunning surrounds. This looks fab! I like a little treat for myself the day after hols too! Great to hear! Thank you for letting me know. It really is a beaut spot.